Perfect draft BBQ blower ? Anyone have any experience with one ? 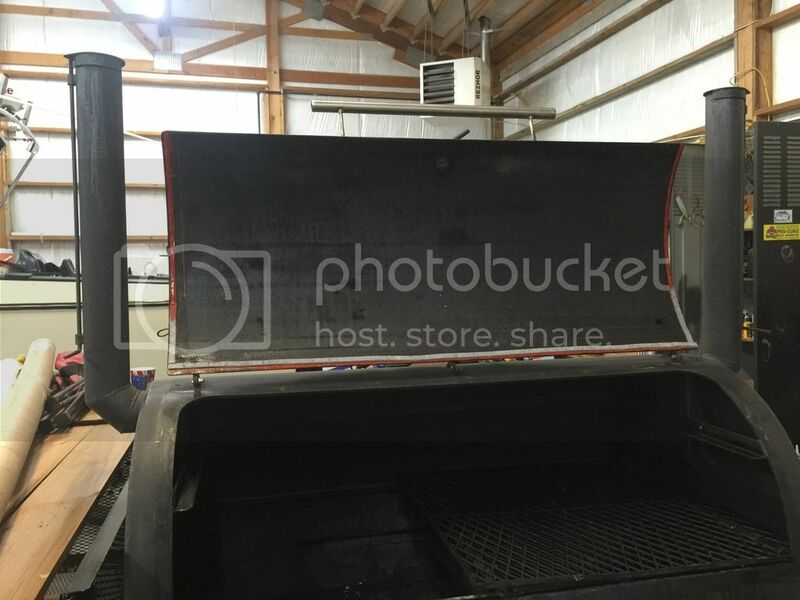 I got a trailer pit and am wondering if one of these would make it easier to control temp. This Pit requires constant fire management to control temps and short of making major modifications as in pretty much starting from scratch maybe this blower would help out. 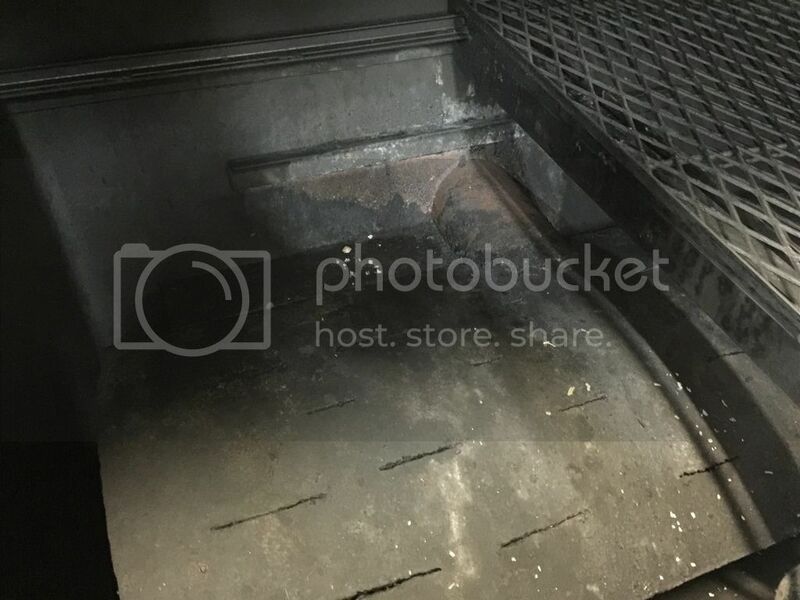 The fire box is mid mounted and way too small I'm quessing 18"x18"x18"
Someone on here recommended I lower the exhaust stacks exiting down to the lower grate. That wasn't possible cause of a rear tray and a front storage bin on the pit so I added these to the inside of the pit to lower the exiting of the exhaust stacks. The modification helped a bunch. Pit dimensions are 36" x 60". All in all the pit cooks pretty good now but I'm constantly adjusting the dampers on the fire box to control temps. On the Perfect Draft website they say the blower works best if you close your exhaust stacks some. That's got me concerned cause I've always have best results flavour wise with stacks wide open. 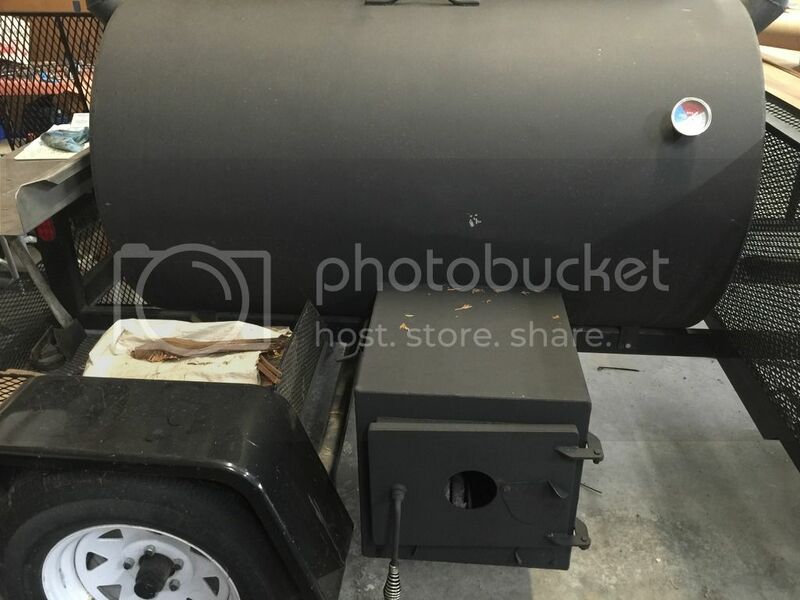 Re: Perfect draft BBQ blower ? 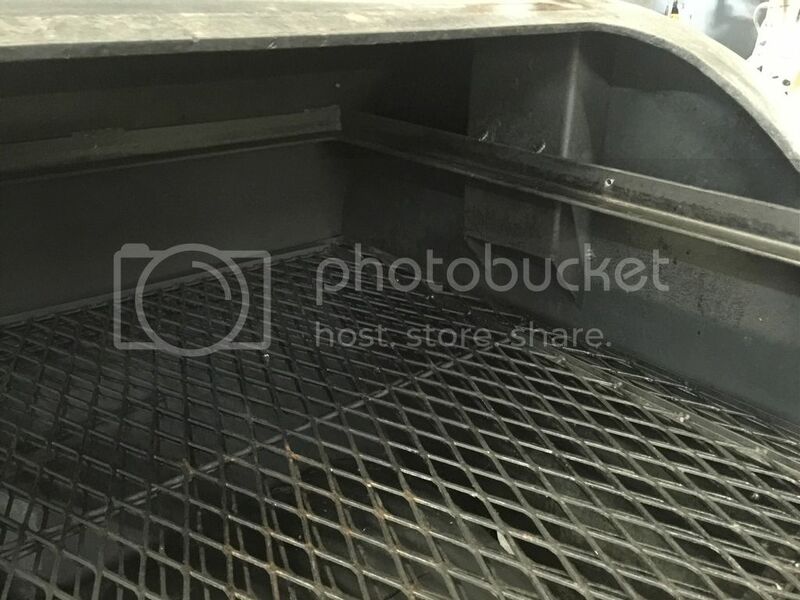 Does the left exhaust stack opening reach the lower cook grate surface? 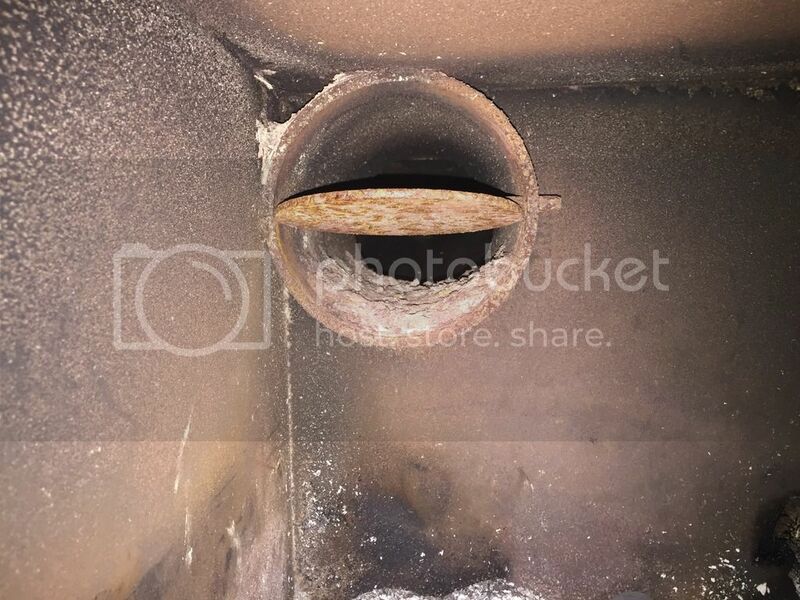 My understanding is running the outlet opening too high will cause the smoke to bypass the meat..
Chasdev wrote: Does the left exhaust stack opening reach the lower cook grate surface? Left side is the same as the right side pictured.